So wonder what a Liz Moore Wedding is really like? Well we asked the beautiful Kirsten and James to send us a little insight on how their wedding went! First of all congrats to these cuties! We have some things that went right, things that may have gone wrong, and some advice for future brides. This a review on what it’s like Booking with Allison. If you are wondering who took these wonderful photos it was Ryan Brenizer! -The whole resort was phenomenal! We loved the “Vegas” feel the resort had and that it was a large area it never felt busy in one spot! We loved that there was lots of places to explore and that there were many options for wedding venues. -Our wedding venue and set up was better than imagined – we had both ceremony and reception inside a ballroom. I was nervous about how it would all come together given that I was planning via pictures, and trying to piece different things together from different pictures. However, our onsite wedding coordinator Marta was amazing and so helpful! She was amazing at her job and always went over and above with our wedding. She was present for the whole wedding day and even the welcome party we had at the beginning of the trip. She even went above and beyond and asked the resort about things that wasn’t wedding related. She was very organized with her planning and had great communication! You can tell she loves what she does! -The staff on our wedding day was friendly and attentive and flexible with our small last minute requests. -We had our ceremony at 3pm but it started a bit late due to late set up – but this did not bother us at all! Our ceremony was quick and ended in half an hour. The set up was beautiful and the saxophone player was phenomenal! We then spent an hour with the bridal party and took pictures. Everyone then returned to the same venue, which opened up into 2 more ballrooms, for the reception. We had the reception from 5-11pm. Everything went perfect! We had a 2-2.5 hour program and dinner and reserved the rest of the time for Photo booth pictures and dancing! I love that the DJs welcomed our own music playlist for the dancing! Everyone had such a blast that they wanted to continue dancing. So, we changed and went back to the oro night club to finish dancing the night away! There was a 24 hour restaurant that we would end up at that had great service and food! -That a week was too short! I would recommend to any future brides to try and have their wedding near the beginning half of their stay. That way you’re able to relax with your loved ones afterwards without worrying about getting tan lines, sun burns or injuries! The resort has a rule that you have to be there 3 business days before the wedding. The Friday (April 1) we got there did not count as a business day because we got there at 4pm. We had our wedding on April 6 and left April 8 so we had our honeymoon breakfast in bed and romantic dinner booked for April 7 (which was all amazing!) but felt like we wanted more time to relax post wedding both alone as a couple and with our guests. If we could go back, we would have wanted our whole group to stay for 10 days instead of 7. -We heard of Liz Moore weddings through James’ hair stylist, who is friends with Allison! Booking With Allison was very helpful and quick to respond to my emails which I felt was very important! We started planning very early but Allison never made me feel like I was a number. There were many changes with planning flights and hotel packages. Allison was quick to help sort things out and you were always calm about last minute -decisions! -There were incentives for rooming nights that helped us with extra perks for our wedding, which we very much appreciated!! We had a miscommunication with a few guests once we had got to the resort. Allison remained professional and calm during this time and very clearly explained the planning/thought processes for the rooming plans. Allison even contacted Liz Moore herself to help oversee the situation and we talked with her – she too was very professional and clear and was also willing to help organize any further decisions as needed. -It was on our end that the misunderstanding occurred but both Allison and Liz were calm and professional and did all you can to clarify the situation. In the end everything worked out and all of our guests had a blast and did nothing but rave about the week at the Hard Rock Punta Cana! 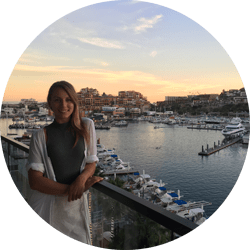 -We are very appreciative that Allison always tried her best to help us find the best rates for our hotel and flight packages and that you laid out our options before we made a decision! All in all an amazing company that shows their clients they care about their wedding experience! Well there you have it! What Booking With Allison is really like, hopefully this was helpful and if you have any questions let us know.